Streamline your invoicing and get paid faster. 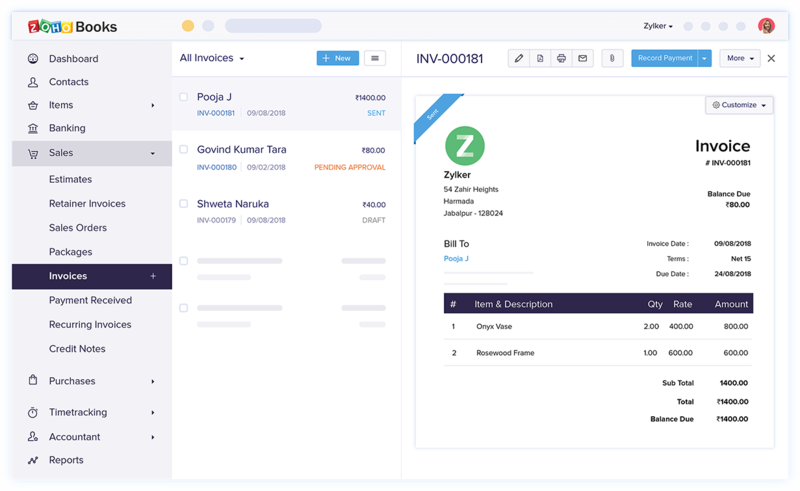 Zoho Books makes managing your invoices and receivables effortless. 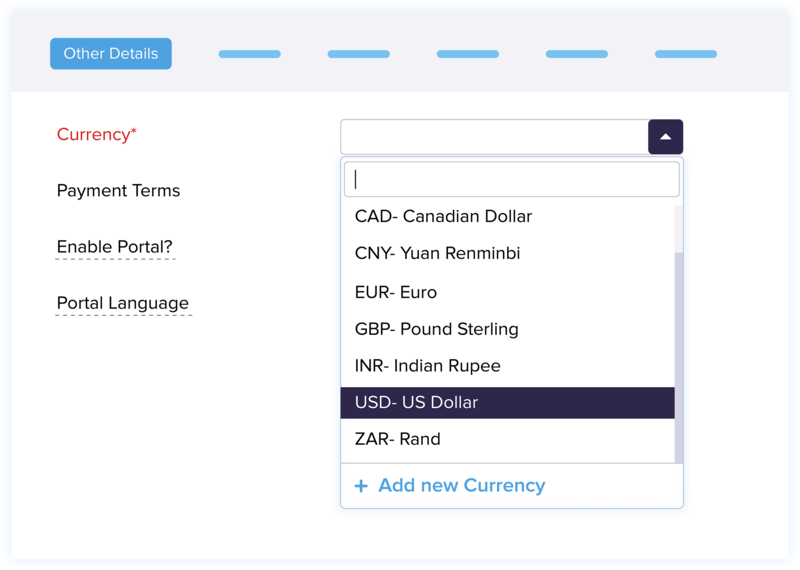 Send customized statements to your clients and receive payment in multiple currencies. 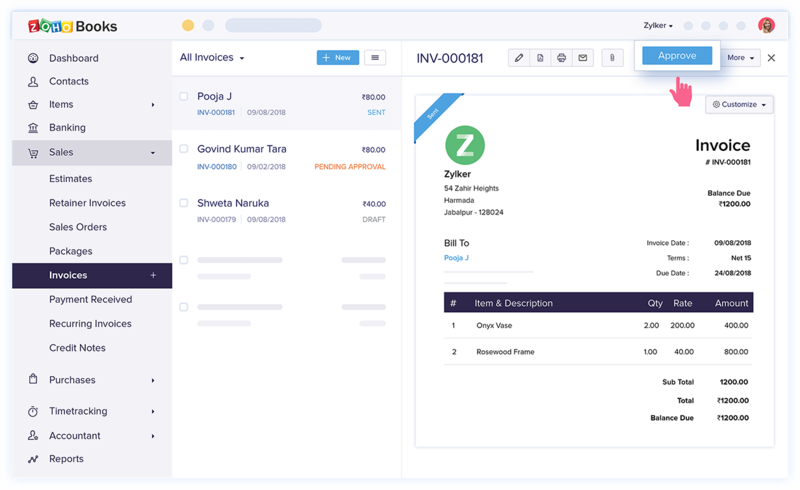 Create polished invoices with the click of a button. From adding your company logo to changing fonts, customize invoice templates to reflect your brand. 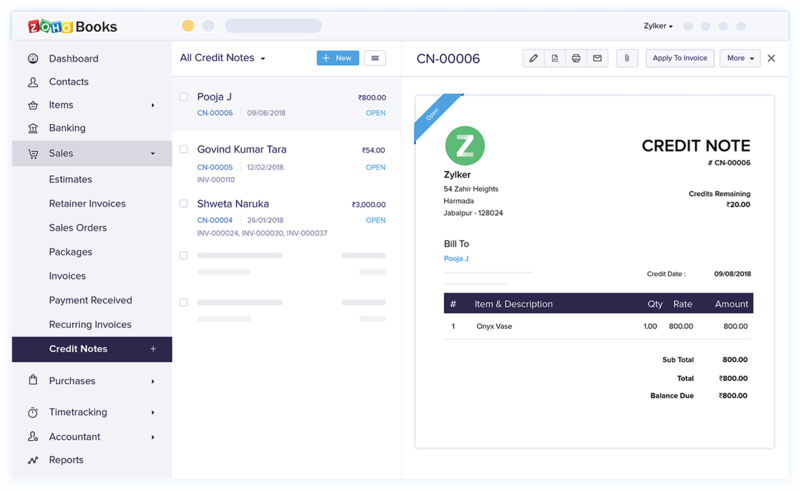 Zoho Books takes the pain out of payments. From cash to check to the Web, your customers will always have an option that fits their needs. 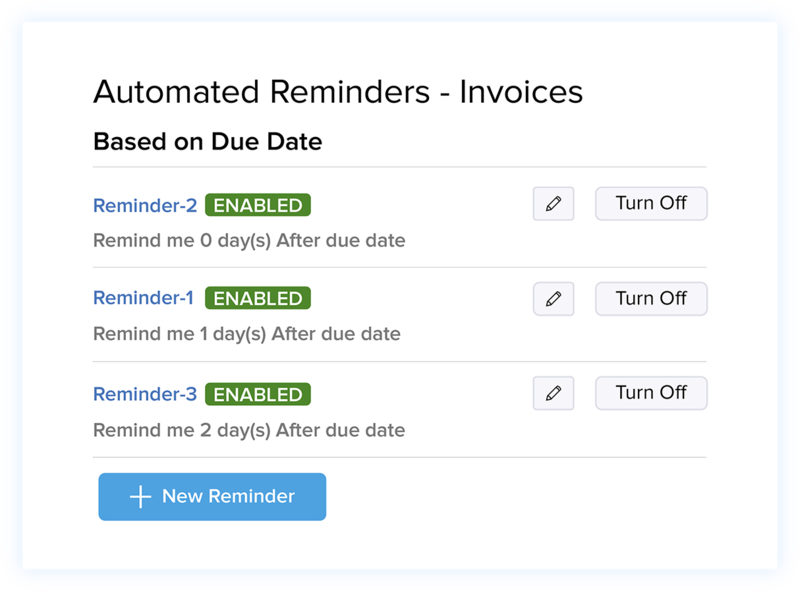 Set up reminders for your clients so you never have to chase a customer payment again. Grow beyond borders with multi-currency pricing. 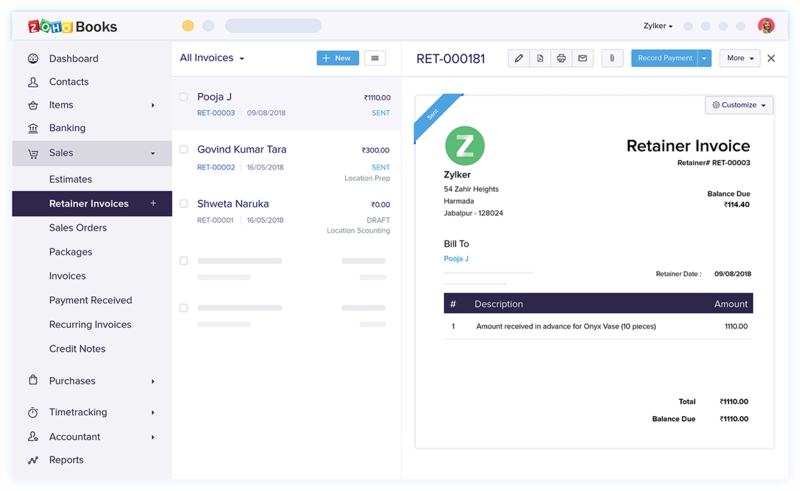 Charge customers in their currency and Zoho Books records it in your currency. Create recurring invoices for your regular customers and set up credit cards so they can pay securely. 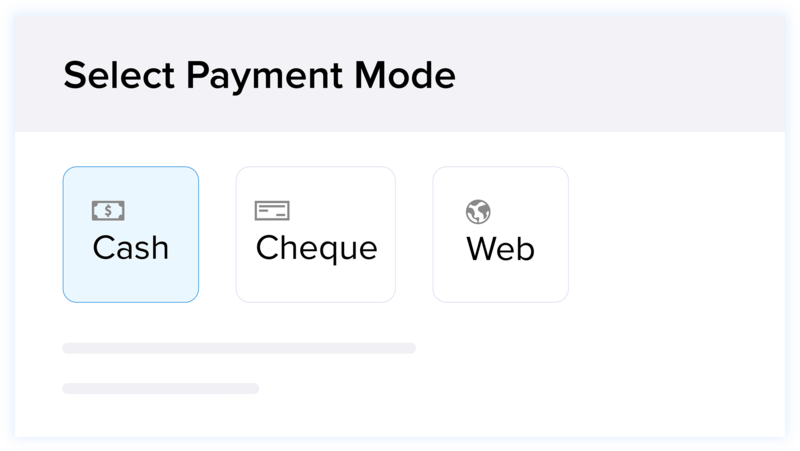 Eliminate the risk of processing incorrect transactions by validating and approving them before you send invoices out to your customers. 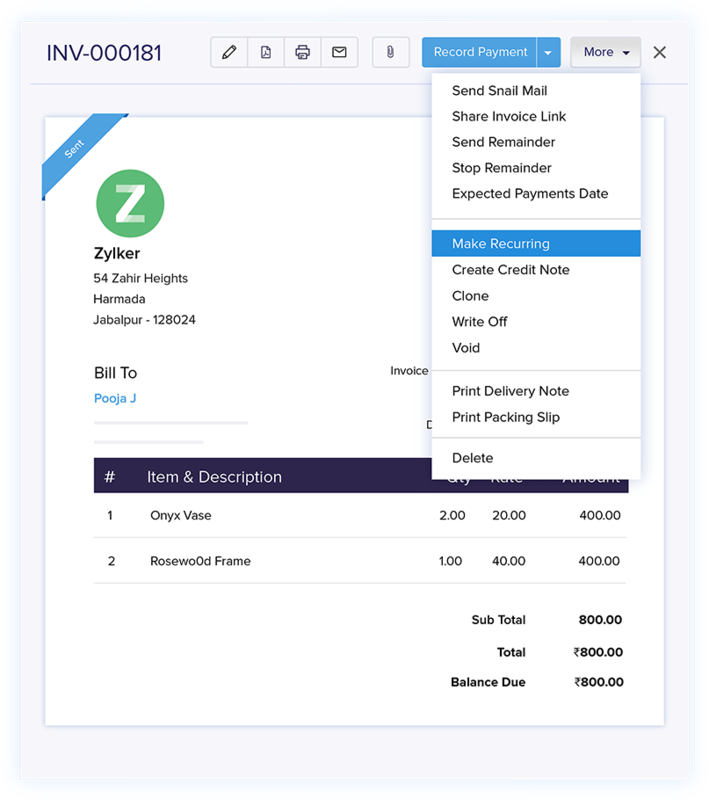 Record retainer invoices for advance payments and invoice your customers once the transaction is complete. Manage refunds and returns with credit notes and apply them to your customer's future sales. Accounting Software that makes invoicing easy. Oops! We didn't catch your name. Umm.. where do we send the response? We can wait. Take your time to draft us your question.